Island displays in shopping malls are very sensitive to cut and run theft. Claro was looking for a solution to lock down the smartphones and tablets on display. They did not want to compromise with regard to customer experience: they wanted to continuing offering an experience for the customers to touch and feel the phones. With Gripzo they got the best of both worlds. Quick release enables a 100% product experience. 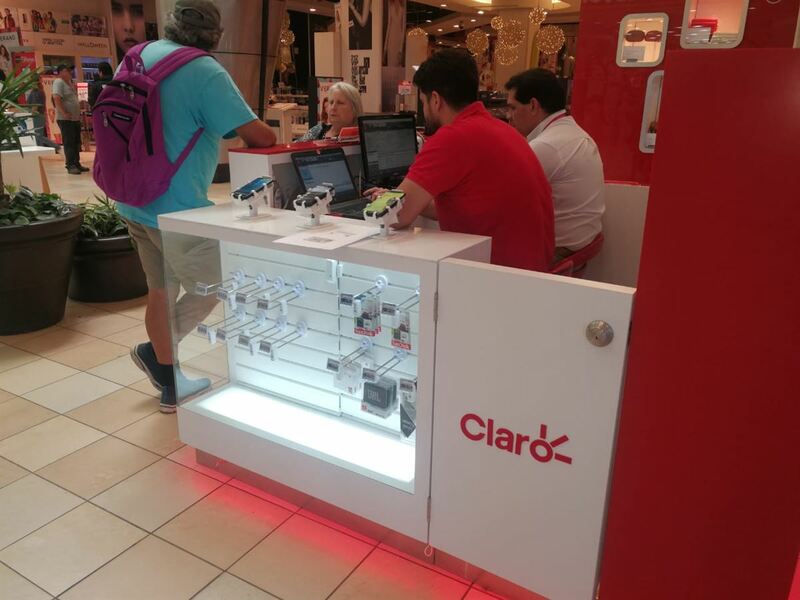 After initial tests in 2018, Claro decided to use Gripzo for the island presentation in the malls.In 2019 Gripzo is rolled out in all Claro stores!